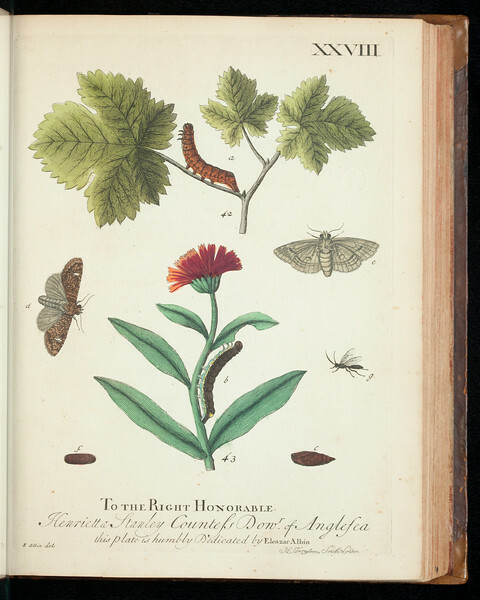 "A natural history of English insects / illustrated with a hundred copper plates, curiously engraven from the life, and exactly coloured by the author, Eleazar Albin, painter. To which are added large notes and many curious observations by W. Derham." -- title page. Unpaged. This exemplar is imperfect as it lacks notes and observations by W. Derham.